ClockworkMod is a popular recovery tool that allows you to install custom firmware, mods on your Android device along with helping you to tweak the system settings, creating backups and more. The latest CWM Recovery 6 has now been released for Samsung Galaxy S5. Here is how to install CWM Recovery 6 on Samsung Galaxy S5 T-Mobile variant, model number G900T powered by the Android 4.4.2 KitKat. This guide is not firmware dependent, hence it will help you work with future Android updates too! Download and install USB drivers for Samsung Galaxy S5 G900T in your computer. Ensure that your Samsung Galaxy S5 carries more than 80% of charge. Note: This CWM Recovery installation guide is only for T-Mobile Samsung Galaxy S5 SM-G900T. Please do not try it on other devices or variants. To check device model number, go to Settings > About Device. Required files: Download ClockworkMod Recovery 6 from this link. Extract the files. Also, download v3.09 from here. Switch your Samsung Galaxy S5 off and boot it in Download Mode: press and hold Volume Down and Home buttons together, then press Power key until you see the Android bot. Press Power key again to confirm. Launch Odin on your computer and connect your Galaxy S5 to PC using a USB cable. Once successfully connected (ID:COM will turn yellow), click on the PDA / AP button on Odin. Locate the recovery file extracted earlier. Don’t touch any other settings except ensuring to check Auto Reboot and F. Reset Time. Click on the START button to initiate the process. After the installation process is finished successfully, your Samsung Galaxy S5 will reboot into Recovery mode and install root packages. The ID:COM port will turn green and you will get the Home screen on your Galaxy S5. Now you can disconnect your smartphone from PC. 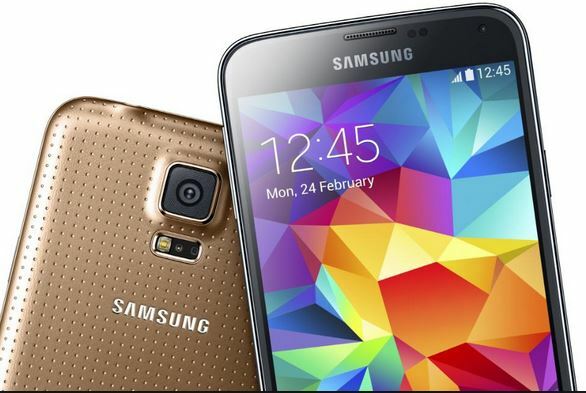 Your T-Mobile Samsung Galaxy S5 is now flashed with the latest CWM Recovery 6. To enter into Recovery Mode: switch off your Galaxy S5 > hold down Home + Volume Up buttons and press the Power key for a few seconds.